You’re on the Threshold of Something Spectacular! 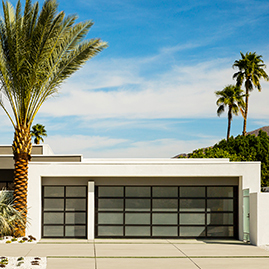 Whether your door is beyond repair or you’re looking to enhance your home’s curb appeal, Door Pros offers and flawlessly delivers expert garage door installations and replacements in the Coachella Valley towns of Indian Wells, Rancho Mirage and beyond. Door Pros is here to help guide you through the different styles, construction materials, insulation, wind resistance, automatic garage door openers and other factors you need to take into consideration when buying a new garage door. We can help you decide whether wood or metal makes the most sense for you. We understand that safety, convenience and reliability are important. But we also realize that choosing a garage door that honors the architecture of your home and your neighborhood is important to many of our customers. Whether your home is mid-Century or modern, we’ll not only help you find the garage door that maintains your architectural pedigree, but our professionals will flawlessly perform your garage door installation and replacement, too. This includes properly removing and disposing of your existing garage door, installing your new door and hooking up the electrical wiring. At Door Pros, we will never try to sell you a replacement garage door when our swift, quality garage door repair services can get you back on track and functioning properly. However, there comes a time when repairing an old, unreliable garage door no longer makes sense for your budget or the smooth and efficient operation of your household or business. When that happens, it’s time to reach out to our team. That’s when we’ll come knocking with our quality replacement services. 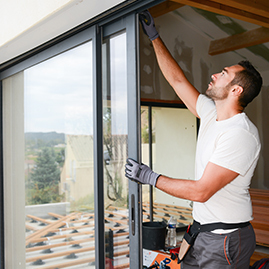 Whether you need a garage door replacement in Indian Wells or you’re looking to personalize your new home with a garage door installation in Rancho Mirage, you can shut the door on your worries by turning to Door Pros. Our skilled and experienced experts will work closely with you to track down the door that’s in line with all of your needs, including security, convenience and climate control, without your budget going off track. At Door Pros, we’re keenly aware that the appearance of your door matters, too. Here’s why. When you look at a home, what catches your eye? If you’re like most people, the garage door is at or near the top of the list. 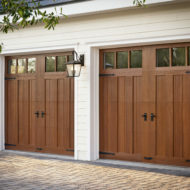 A garage door can account for up to 30 percent of a home’s façade so it has a significant impact on curb appeal. That’s why choosing a color, finish, material and design for your garage door that complements your home’s exterior isn’t an option. It’s a necessity. 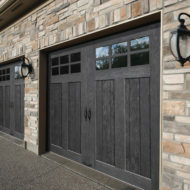 Your garage door’s appearance can add or detract from the value of your home. 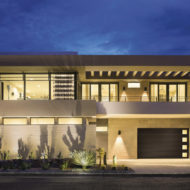 In fact, in the Coachella Valley towns of Indian Wells, Rancho Mirage and beyond, if you’re looking for a home improvement that delivers a superior return on investment, then a garage door installation or replacement is one of your best bets. So, if you want to get the best bang for your buck, add value to your home’s resale value and showcase your home in the best light possible, then choose a design for your garage door that fits the architectural style and price point of your home. Garage doors are complex mechanisms. So, if you lack the expertise, attempting a garage door installation or replacement on your own is like pushing on a pull door. It’s not going to work out the way you’d hoped. Receive advice from an expert who works with garage doors every day. Allow the pros to quickly and expertly tackle sudden, unexpected problems that can arise during installation. Enjoy peace of mind knowing the installation will be performed flawlessly and in a timely fashion. Avoid potential accidents or damages to your property that can happen when handling the project on your own. Give yourself the opportunity to further customize your door to fit your life. Knock, Knock! Help Is Here! Our team at Door Pros has the know-how and experience to handle any garage door question or challenge you throw our way. That’s because our techs are not only good at what they do. They love doing it, too. Plus, we’re available for any emergency garage door repair you need. Open the door for a difference you can see—literally. Go ahead and give us a ring. We’ll come knocking with our top quality residential and commercial garage door services in no time. We’re the best in the business. It’s that simple.